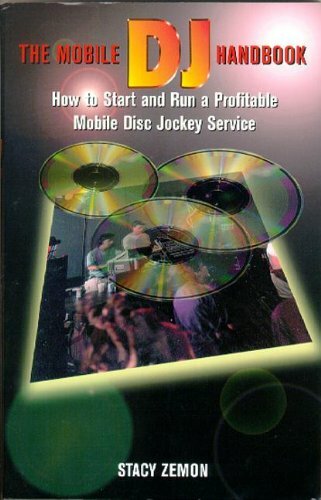 The Mobile DJ Handbook is full of expert advice, practical tips and creative strategies for achieving success as the owner-operator of a mobile disc jockey service. Written for both the newcomer and the experienced DJ, the book includes details on how to market and sell your services and a wealth of specific ideas that will help you develop and expand your business. This book contains information on becoming a professional, securing bookings, buying equipment and music, and running party dances, contests, and games. Included within the text are sample contracts, an advertisement and brochure, as well as resource information. Comprehensive and current, The Mobile DJ Handbook is an essential reference guide which offers readers all the knowledge and inspiration needed to run a profitable enterprise. Expert advice, practical tips, and creative strategies. Everything you need to know to be successful and profitable. Useful to both the novice and the experienced professional.